Our product range includes a wide range of ladies jute bags, custom jute bags, jute gift bags and fancy jute ladies bag. We feel proud to introduce ourselves as the well-known manufacturers, exporters and suppliers of Ladies Jute Bags. The offered ladies jute bags are highly liked and acclaimed by the clients, due to the light weight fabric and attractive designs. Our supplied ladies jute bags are made from superior grade jute fiber. 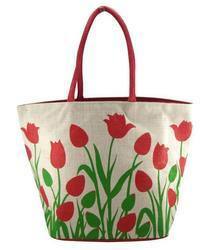 We are one of the leading manufacturers, exporters and suppliers of Custom Jute Bags. 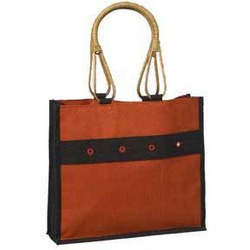 The offered custom jute bags are highly acclaimed for optimal load bear ability and strength. Our supplied custom jute bags are designed and crafted by the expert craftsmen of the trade. The offered custom jute bags are available at very affordable rates. We are one the well-known manufacturers, exporters and suppliers of Jute Gift Bags. The offered jute gift bags are widely acclaimed for elegant and attractive designs. Our supplied jute gift bags are commonly used for carrying the shopped items in malls and markets. The offered jute gift bags are easily available at very affordable market rates. 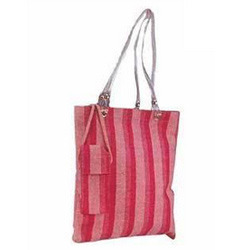 We are one of the widely acclaimed manufacturers, exporters and suppliers of Fancy Jute Ladies Bag. The offered fancy jute ladies bag is very commonly used for the packaging and transport of household goods and cosmetic products. 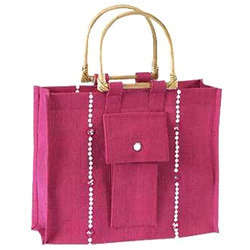 Our supplied fancy jute ladies bag is commonly used by college going girls and working women.